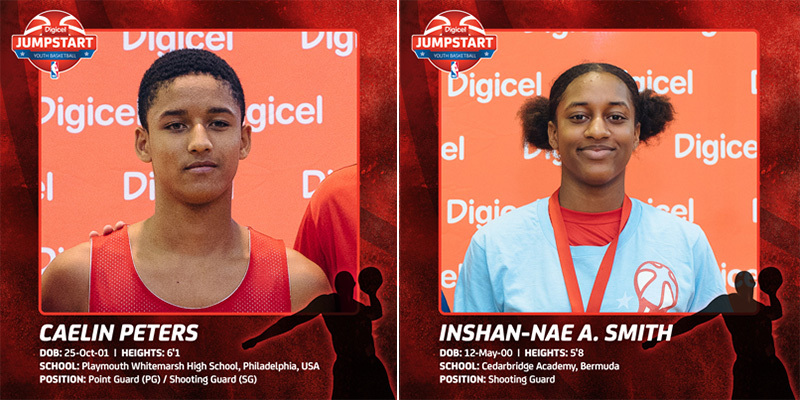 Today four young basketballers departed for New York to take part in the four-day Digicel NBA Jumpstart Experience. 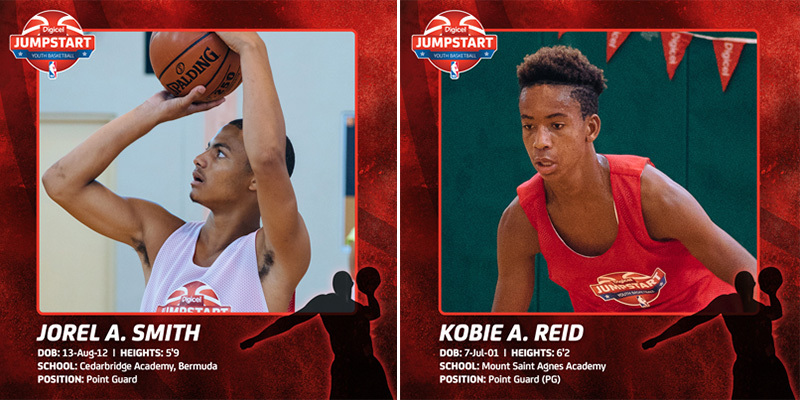 The players were selected at the end of the Jumpstart Elite camp which took place in the British Virgin Islands in October due to their excellent performance, ability and attitude displayed during the camp. The Jumpstart Experience is the culmination of the Jumpstart program which started in The Berkeley Institute in September. Seven players were selected from the program for the three-day Elite camp where the NBA coaches selected Bermudians Caelin Peters, Jorel Smith, Kobie Reid and Ishan- Nae Smith to progress to the final stage. At the Jumpstart Experience the players will be joined by other young players from around the Caribbean to continue their development. During their time in New York the players will train with top NBA coaches in Columbia College before taking part in a scrimmage game with Rutgers Preparatory school. Outside of the court they will enjoy the sights of New York, tour the NBA offices and Madison Square Gardens as well as experience an NBA game between the NY Knicks V Cleveland Cavaliers. “This is the second year of Jumpstart and it’s great to see so many Bermudians making an impact,” stated Robin Seale, CEO of Digicel & BTC. “I have no doubt the players will continue to impress their coaches and be proud ambassadors for Bermuda as they have been throughout the program,” he added. The Digicel Jumpstart program is a youth sports initiative that takes place in select countries across the Caribbean and Bermuda. The clinics give young basketballers, aged 14 to 16, access to elite NBA coaches in order to advance their skills. All the best!!! Great opportunity!